Mah Sing Group Bhd (Mah Sing) will be launching its first RUMAWIP project — Residensi Seri Wahyu in Taman Wahyu, Kuala Lumpur on March 29. The event will be held in Lakeville Residence Sales Gallery from 8am to 6pm that day, the developer said in a press release today. The launch of Residensi Seri Wahyu is part of the developer’s efforts to support the government’s initiative and cater to the need for mass -market homes, said group managing director Tan Sri Leong Hoy Kum (pictured). “We support the government’s initiative to make homes more affordable for Malaysians. Residensi Seri Wahyu is strategically located in Kuala Lumpur with unit layouts that are suitable for young adults who are working in the city as well as young families. We hope to see the rakyat take advantage of the RUMAWIP projects as they are well planned developments that will become an asset for young homebuyers,” he said. 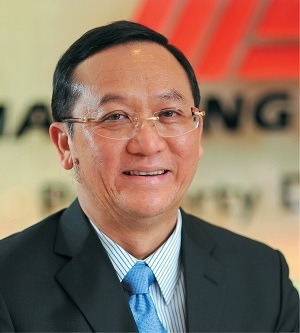 To date, Mah Sing has received 783 applications for the project through the RUMAWIP online portal since two weeks ago, Leong told TheEdgeProperty.com. “Due to the strategic location as well as affordability of the project, we are confident of receiving a very good response from the public during the launch,” he added. Sitting on 1.52 acres of land, Residensi Seri Wahyu consists of one tower with a total of 660 units. Each unit comes with one carpark and is priced at RM300,000 with a built-up of 805 sq ft accommodating three rooms and two bathrooms. The leasehold development will feature facilities such as swimming pool, children’s pool, playground, gym, BBQ area, a multi-purpose hall and more. It is accessible via Jalan Kuching, Jalan Ipoh, Jalan Kepong, the Duta-Ulu Kelang Expressway and the Middle Ring Road 2. Notably, buyers are given an option for an upgraded package that comes with kitchen and bedroom fittings, air conditioners, water heaters, floor tiles as well as added electrical points for an additional RM30,000. Additional carpark bays are also available to buyers at RM25,000 for one tandem parking bay or RM30,000 for one side-by-side parking bay.